We all know that even though it is Fall, the Fire Season is not quite over yet. Here is a recap of some pretty large fires since we began covering them in 2016. There are plenty that are missing from this list and we are working to include them on this list. Thank you for following us throughout our journey on this Fire Season so far. Don’t go yet…. Fire Season is still upon us and we will cover Fire news all year round. The Cedar Fire started on August 16, 2016, at 1630 hours from an unknown cause. 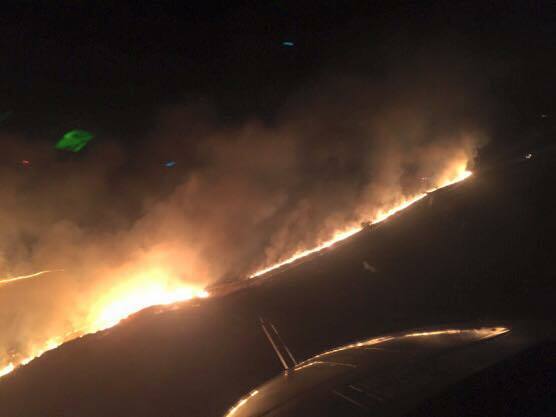 The fire is burning near Cedar Creek on the Greenhorn Mountains above Wofford Heights near Lake Isabella on the Sequoia National Forest of the Kern River Ranger District. Smoke persisted over the fire area most of the day, providing shade that helped raise relative humidity and slow fire growth. The acreage increase—approximately 1,200 acres—was the smallest increment since the fire started. On the west perimeter, the fire crossed Sandy Creek Road in several places. Building direct line to contain these stringers of fire was not possible, but firefighters today scouted a route where a dozer line can be constructed toward Telephone Ridge to protect ranches and homes south of Sandy Creek Road. Structure protection continued in the Panorama Heights area on the west side, with firefighters using dozer lines, hose lays, and retardant drops to protect homes that might be in the fire’s path. Firefighters built line around a two-acre spot fire near Tobias Peak. A contingency line, consisting of dozer and handline, from Tobias Meadow to Baker Point was expected to be completed tonight. Tonight, firefighters will aim to check fire growth, so that contingency lines can continue to be built away from the fire’s leading edges. The fire has moved out of areas of heavy beetle-killed trees on the east and south sides. But with all vegetation remaining dry and drought-stressed, active fire behavior and smoke are expected overnight. The intense fire behavior and threat of weakened and dead trees falling in burned and unburned areas remain hazardous for firefighters, limiting their ability to work close to the fire’s edge. The slight chance of thunderstorms predicted for the fire area today failed to materialize, with no storms developing closer than 30 miles away. Dry weather and partly cloudy skies are expected overnight, with maximum relative humidity expected to reach 30 to 40 percent. Terrain-driven winds will prevail, with westerly ridge winds to around 10 mph in the early evening, becoming northwest overnight. Incident Commanders Mike Minton, California Interagency Incident Management Team 5 representing the U.S. Forest Service, and Bill Steers, Kern County. There are currently 1,197 firefighters. 24 hand crews, 85 engines, 13 helicopters, 17 dozers, 21 water tenders. Granite Hills High School in Porterville (1701 E. Putnam Ave). The shelter can accommodate cats, dogs and other small pets. Evacuees with large animals and livestock can contact Terry Way’s Ranch and Equine Rescue at 918-541-3572 (416 N. Anderson Way, Exeter). Linns Valley-Poso Flat Elementary School, 158 White River Rd., Glennville, at 5 p.m.
Ducor Union Elementary School cafeteria, 23761 Ave. 56, Ducor, at 7:30 p.m. FOLLOW US HERE –> @nwfireblog (Twitter) –> The NW Fire Blog (Facebook) –> 2016 CA Wildfires (Facebook). 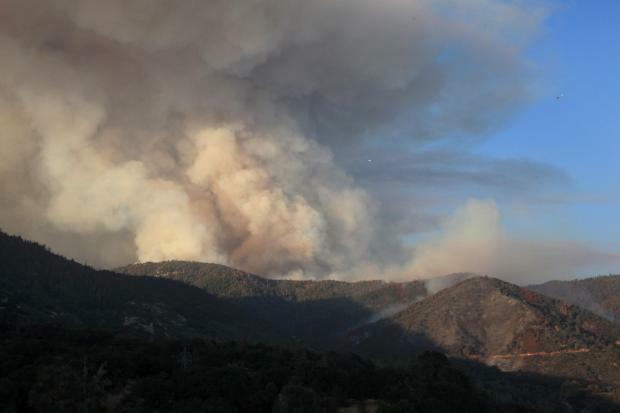 The Cedar Fire started on August 16, 2016, at 1630 hours near Cedar Creek on the Greenhorn Mountains above Wofford Heights near Lake Isabella on the Sequoia National Forest of the Kern River Ranger District. Active fire with group torching of vegetation, uphill fire runs and spotting ahead of fire. Rapid fire growth exacerbated by tree mortality is limiting direct attack options. Anticipated growth on fire to the North and Northeast. It has burned 9,500 acres of grass and timber. It is currently being managed by and is in Unified Command with CA IMT Team #5, US Forest Service and Kern County Fire Department. There are currently 915 firefighters assigned to this incident. Okanogan-Wenatchee National Forest | The Halfway Fire from an unknown cause on Forest Service, about 25 miles West of Naches, Washington State. The cause is still under investigation. About 75 acres of timber have been consumed. Fire crews were successful in laying hose lines and are in mop-up operations with a 90% containment status. However, the remaining 10% is on the NW flank in inaccessible area. Halfway Flat and Sawmill Flat campgrounds, Boulder Cove and Rd 1704 are all closed until further notice. There are still 34 personnel attached to this incident. No injuries have been reported and no reports of damage or destruction to property have been reported additionally. There are no #FireImages for this fire available. 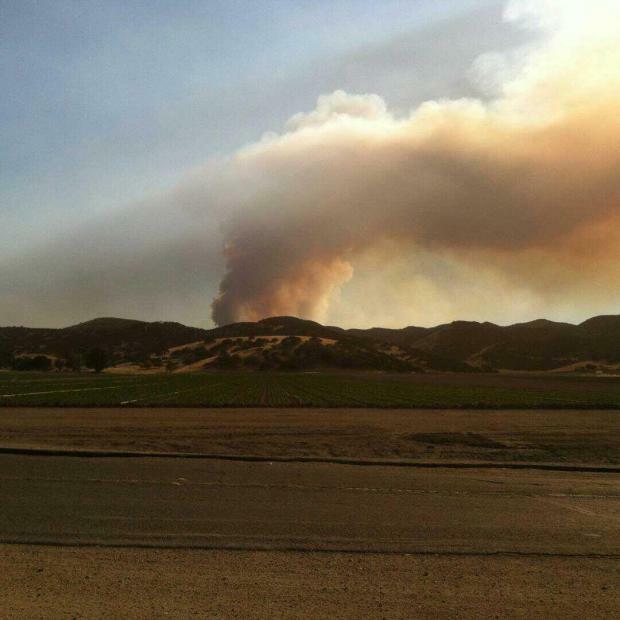 A wildfire exploded on to the fire scene just West of King City, California, on the boundary of Fort Hunter Liggett on the Los Padres National Forest and Monterey Ranger District Saturday, June 4th around 1433 Hours PDT. By 1500 hours, the fire was moving at a rapid pace and fire conditions were extreme and growing to 3,000+ acres prompting the Forest Service to go into a Unified Command with CAL Fire. A full-response of crews was initiated. Fire fuels include: very dry vegetation. A CIMT Type 1 assumed Command as of 1800 hours this evening. ICs are J. McGowan, USFS; S. Reeder, CAL Fire and J. Minetti, FHL. 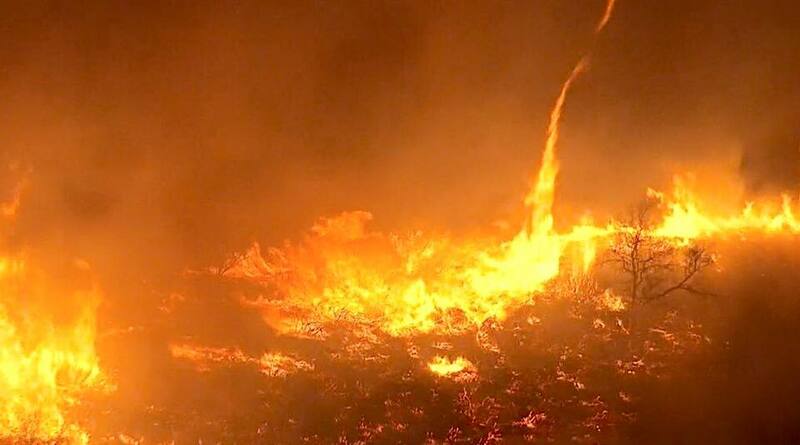 There are still 645 fire personnel tied to this incident, along with (7) Type-1 Air Tankers, (3) Type 1 Helitankers, (2) Type 2 and (2) Type 1 Helicopters. At the time of this post, firefighters have been successful in reaching a 10% containment status around the fire. The fire has consumed 3,200 acres. Weather conditions currently are NW Winds 3-5 m.p.h. Weather is due to dip into lower temps later this evening. Earlier in the day, fire conditions consisted of gusty winds. Firefighters were able to contain two of three fires yesterday, leaving one that is still causing a lot of havoc. Though firefighters are able to get a containment status, it does not necessarily mean the fires have been completely put out. Here is a recap of fires that been ignited in the Texas Panhandle. This fire is showing it started around 1618 hours and is located in Wheeler County. On March 24, 2016, we reported 3,000 acres had been scorched. Today, the fire was reported at 15,174 acres with a 95% containment status with 4 homes lost and 100 homes being threatened. The cause of ignition is unknown. The Tara Road Fire also started today. It is located in Randall County. It was quickly contained to three acres and is listed at at 100% containment. The cause is also unknown. 1 home was lost and 3 were still being threatened. The third wildfire that ignited on March 23, 2016, has been fully contained to 100%. Overall, Firefighters were able to keep it at 44,686 acres, The fire has caused 2 homes to be lost. Fires seem to be igniting all over and Texas is one of many States ablaze this Fire Season 2016. Here is a recap of fires that are showing started today. This fire is showing it started around 1618 hours and is located in Wheeler County. Currently the fire has burned 3,000 acres. It is 75% contained at the time of this posting. The cause of ignition is unknown. The Crutch Fire was fire #3 that ignited today. It is said to be at 44,686 acres with a 30% containment. The fire has caused 2 homes to be lost. Thousand Oaks, California | Firefighters from Ventura County Fire and CALFire deployed to an original reported wildland fire on Veteran’s Day or November 11, 2015, around 1740 Hours PST. The fire is now being referred to as the Thousand Oaks brush fire by Ventura County Fire, which is located approximately two miles of Simi Valley and off of Wood Ranch Parkway has burned approximately 40 acres. On the evening of November 11th, over 100 Firefighters were assigned to this incident and had contained the fire to 50%. Thursday, proved to be more successful as Firefighters gained a 75% containment status earlier in the morning and finally contained the fire to a complete 100% status earlier this evening limiting damage and saving lives. The cause is still unknown at this time and under investigation. The Fire Departments like to remind those who work outdoors to be extremely careful as an impending wind storm is heading towards California bringing gusty winds and low pressure. We wish all of you the same and to be careful out there. Thanks for following our post!